Did you join the fight? 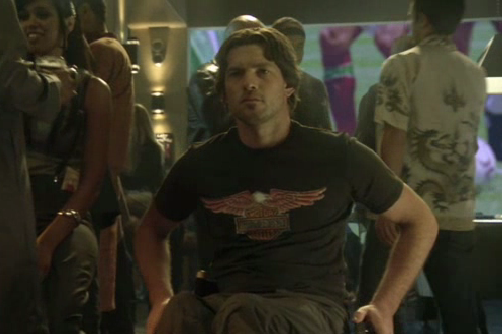 I’m talking about the ‘super-hero’ fight in the latest Avengers movie sponsored by Harley-Davidson. Last month I wrote a post about how the motor company was looking to cement their mainstream outreach and joined up with Marvel on the 2012 The Avengers movie promotion. 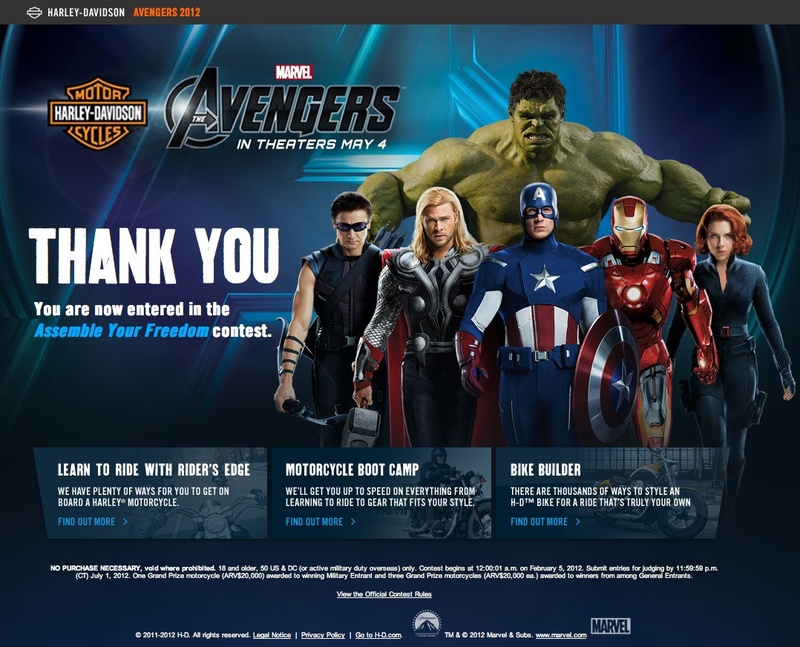 They have now released more promotion information about an “Assemble Your Freedom” contest where you ‘heed-the-call’ to assemble your team, your bike and once completed you are now in the pot for a chance to be drawn into an upcoming Avengers comic. He’s a psychic that can only use his powers while he is fighting. He has five swords from a giant sword all the way down to a small blade, because I based him off an artist that draws a picture using his swords as he fights. So the swords are like paint-brushes to him. As he fights, the way he cuts things and destroys stuff will fit into his picture and he predicts the future. But he blacks out when he fights and has to interpret the fight through pictures. He was a child prodigy in his small Milwaukee village but went rogue to find out why he was drawing these pictures and their meaning. He joins up with this organization called Sector 72, which took him in and promised to teach him more about his power which is used to fight evil. Yeah, it doesn’t have to make sense. So, get your imagination in gear and win that comic competition.